As I sat and watched Wednesday's afternoon game thinking about how glad I am that Tanaka is back and how much I love that Robinson Cano has been in a slump, I have been wanting to share some of my thoughts about some current Yankee happenings. From this interview and from his tweets if you follow him on Twitter, you can tell he is a very humble guy with a love and respect for baseball. 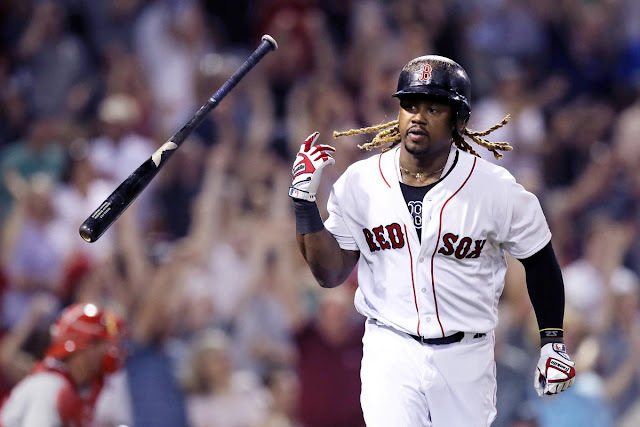 Before being put on the 15 day DL for a strained quad muscle, he had 6 hits in 17 AB with 3 RBIs and his first HR on May 25th. It is reported that he will likely be out for a month, being replaced by Ramon Flores. I was actually at a Hooters watching the game where he made his first start. When Michael Kay introduced him to the plate, my jaw dropped to the floor. I was really excited for him, and I hope he makes a speedy recovery. Speaking of injuries, I had mentioned Ellsbury with a right knee injury and now we possibly have Beltran and McCann questionable. ICYMI: Beltran hit his right foot with a foul ball in the 2nd game against the Mariners, but the x-rays were negative. 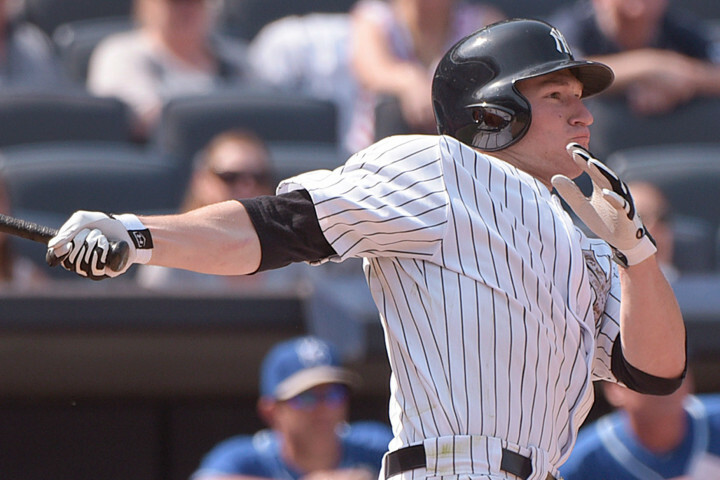 McCann left the game today with a sore foot, but his MRI was negative as well. After making his first MLB start and appearance in LF on May 30th in Oakland, Ramon has 2 hits in 11 AB with 1 RBI. And if you haven’t noticed, the kid has an arm. In his debut game, he gunned down Marcus Semien at the plate from LF. That’s very impressive, especially in your first start to gun down a speedy runner. And as I typed that last sentence, he just gunned down Mariner Dustin Ackley at the plate. Wow. I can’t wait to see what he does next. Last but not least, Garrett Jones. With the game winning HR in last night’s extra-inning 5-3 win over the Mariners, he has been hot lately. In his last 8 games, he is hitting .419 with 6 RBIs, 4 runs, and 3 HRs counting the one he hit today to give the Yanks the lead. 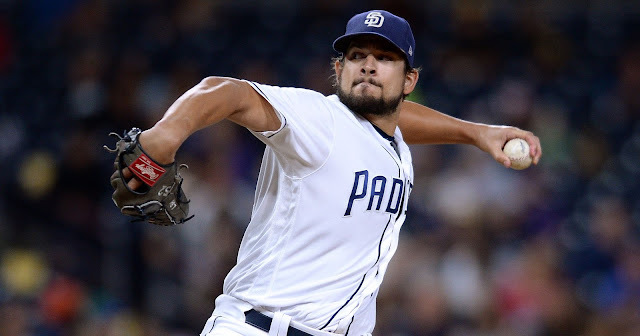 I think this is great for Garrett, who was been in and out of teams and who was traded to the Yankees with Nathan Eovaldi for Martin Prado and David Phelps. I hope he keeps his hot streak up, even if he’s just a bench player. So after the sweep of the Mariners, we are still in first place in the AL East, just one game ahead of the Rays. After being in Seattle, we are heading back to the Bronx with a weekend series against the Angels then 2 weekday games against the Nats. These will be interesting games to watch!! Lastly, I wanted to share that Wednesday was the 12th anniversary of Derek Jeter being named the 11th captain in Yankees history. It was also the day that Lou Gehrig hit 4 consecutive HRs in 1932 to give the Yanks a 20-13 win over the Philadelphia Athletics. Gehrig was the first player to do this in the 20th century, and only 15 players have done it since then. I think it’s cool that these great accomplishments happen to overlap on the same day, and I thought you just might have wanted to know. 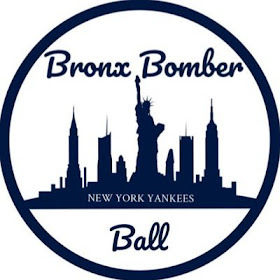 Make sure you are following the blog on twitter at @BronxBomberBlog and go ahead and give me a follow over at @kylie_yanks!